This photo is blurry because I was in a state of shock and excitement! 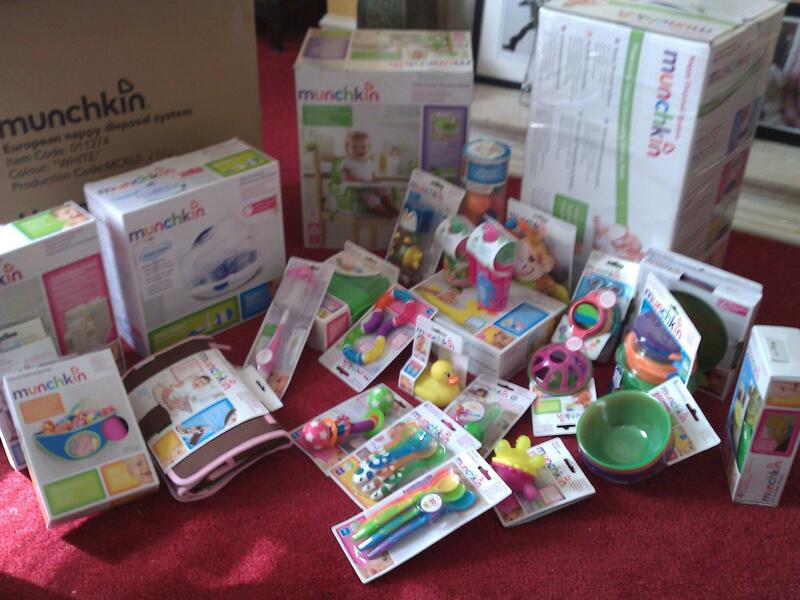 Niffer and I are going to to be testing products for Munchkin throughout 2013 and this is what we received to test today – so much to look at it was like all our Christmases came at once! I’ll be deciding on what we’ll review first very soon, but here’s a little rundown of what we received, I may have even missed a few bits in all the excitement! Bowls and plates with fish decorations – I especially love the look of these, they have a lovely sweet little fish peering out when you finish your dinner! Stacka bowls and the amazing non slip bowls that I’ve heard great things about! Organiser for bath corner – great stuff! As I said on my FB post, just wow! Huge thanks Munchkin, can’t wait to let you know our thoughts!